One news item has happened recently that bears repeating. A Harley Davidson Softail motorcycle that washed up on a British Columbia (not mentioned in my blog, but pervasive in the news) in April has found a permanent museum home. 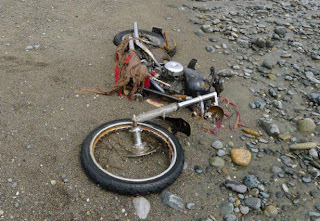 BC resident Peter Mark found the bike while on the beach, and was taken aback by the eeriness of it. He feared that the owner was a victim of the tsunami. Nevertheless, he traced the bike back to its original owner, Ikuo Yokoyama, who was happily found to be alive. Mark contacted Yokoyama in an effort to return his motorcycle. Instead of asking the bike be returned, Yokoyama was adamant that it not be. After much debate, he had decided that in the case of such a disaster, it would be impractical to ask for the bike back. Instead, he stated he would much prefer that the motorcycle remain on its new continent and act as a memorial for the 2011 disaster. Yokoyama is living in temporary housing with his family in the Miyagi Prefecture. 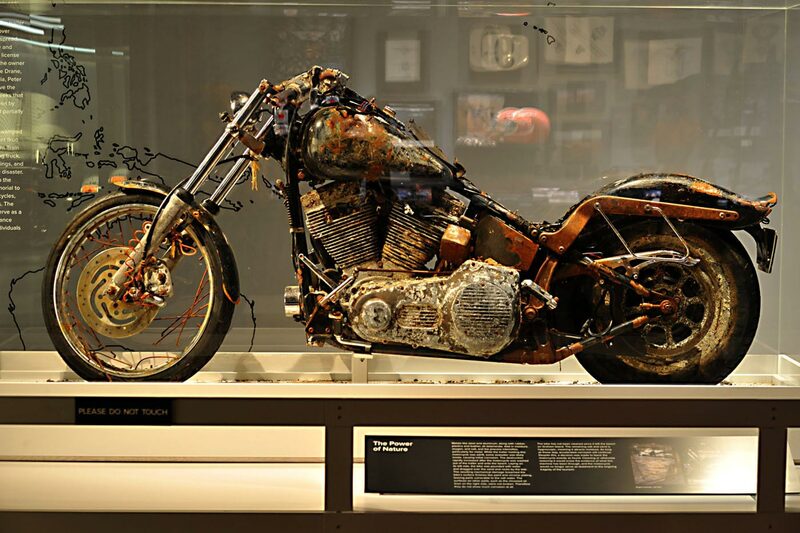 The bike has since been cleaned up and now resides in the Harley Davidson Museum in Milwaukie, Wisconsin.